The Seder tells the story of how we were slaves in Egypt before God led us to freedom. 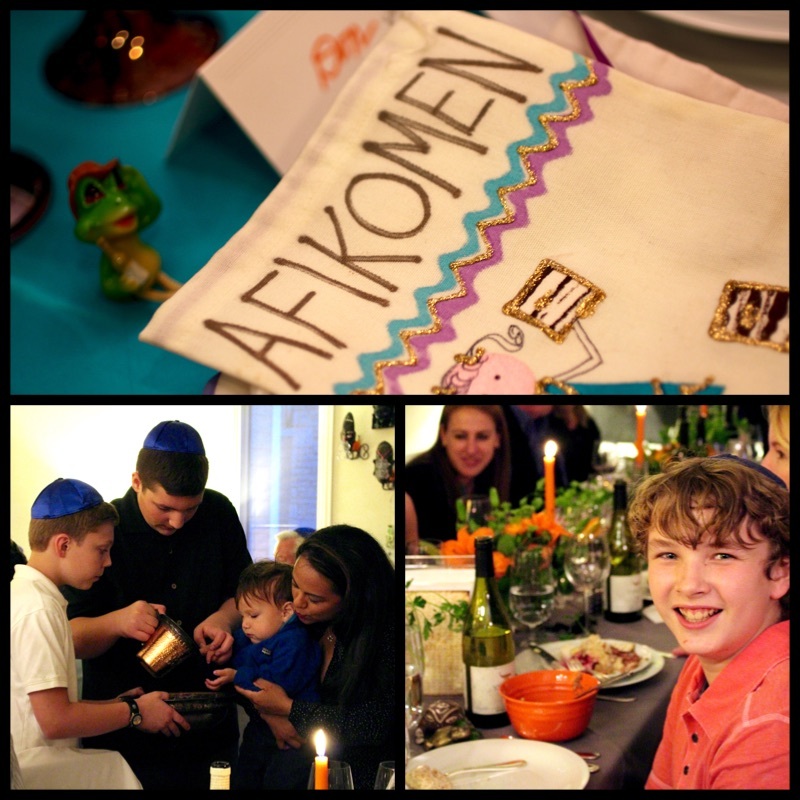 Each year at Passover we go on a journey in our hearts from slavery to freedom, from sadness to joy. While the 3000 year old story never changes, over the years our menu doesn’t change very much now either. Dinner service for 40 people, no problem. Last year we even simplified the vegetable dish. Roasted Brussels Sprouts with Balsamic Glaze, a big hit. 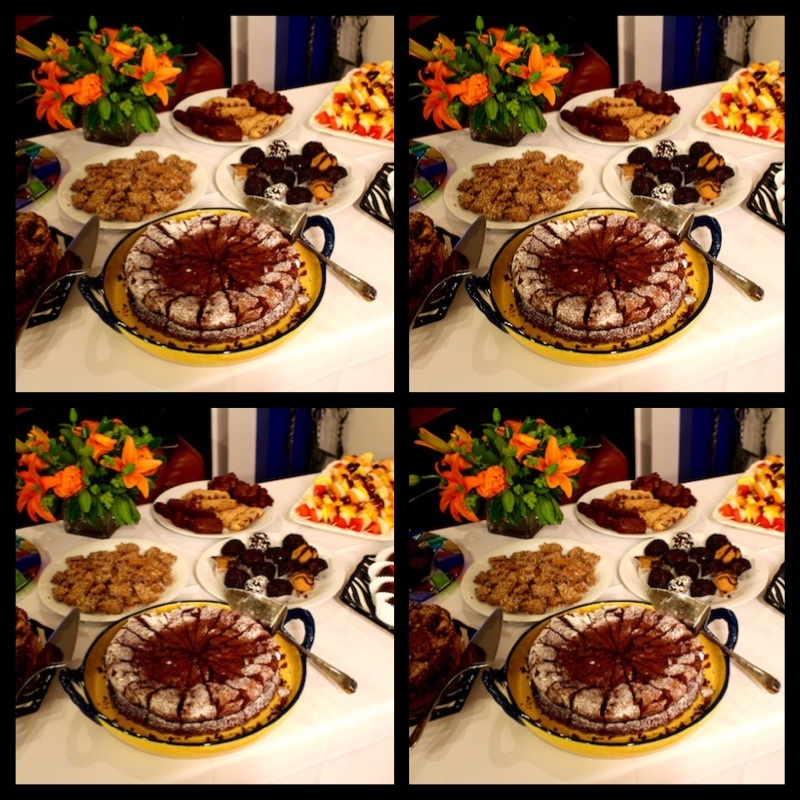 This year to give the presentation an extra pop, I will sprinkle the platters with pomegranate arils. That and a pistachio ganache tart are about the only changes to the menu this time. 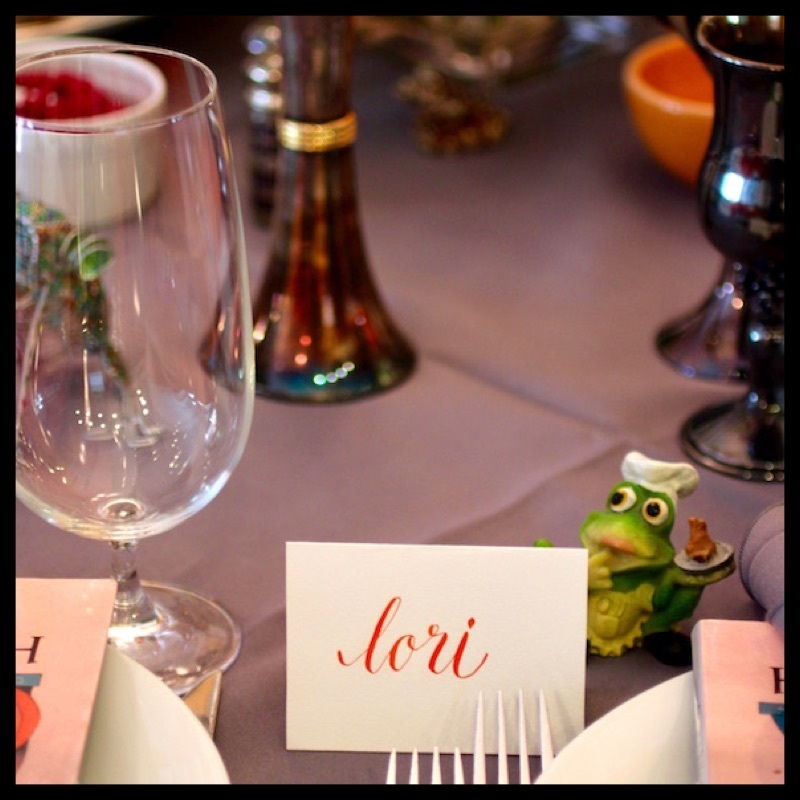 And the tables are covered with frogs! 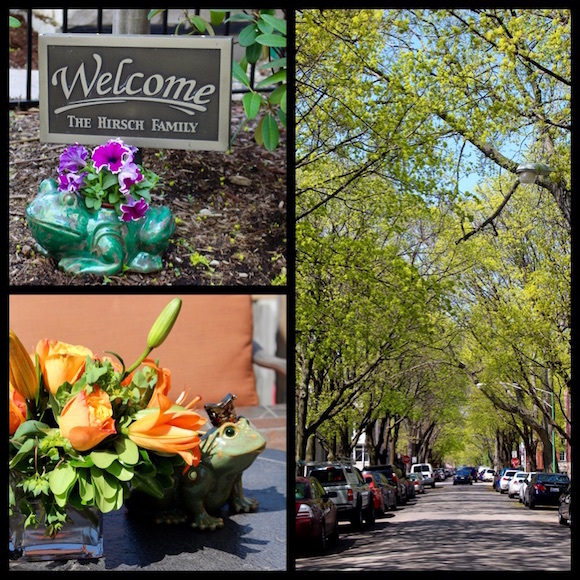 Read about our Passover Frog Collection here. 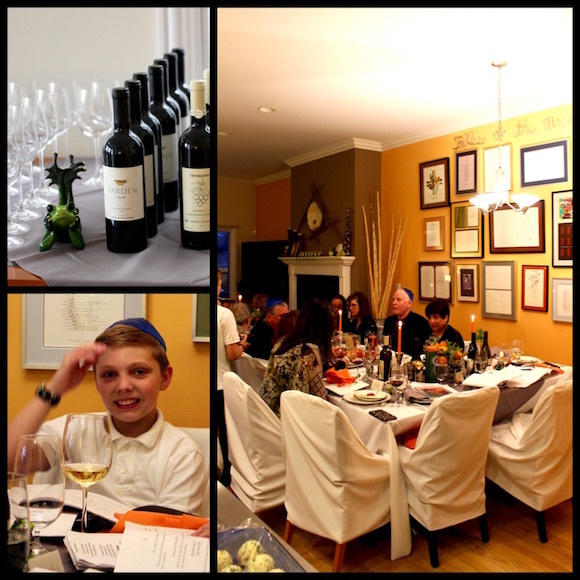 The Passover Seder Table is not simply a place to tell the story of the Exodus and to eat dinner. The Table is symbolic in and of itself. It is a place where memories are made and traditions are taught. It is where we gather with family and friends, and perhaps strangers too, to celebrate our freedoms. The care with which my sister-in-law Kristy sets her Table reflects the solemnness and seriousness of this holiday. 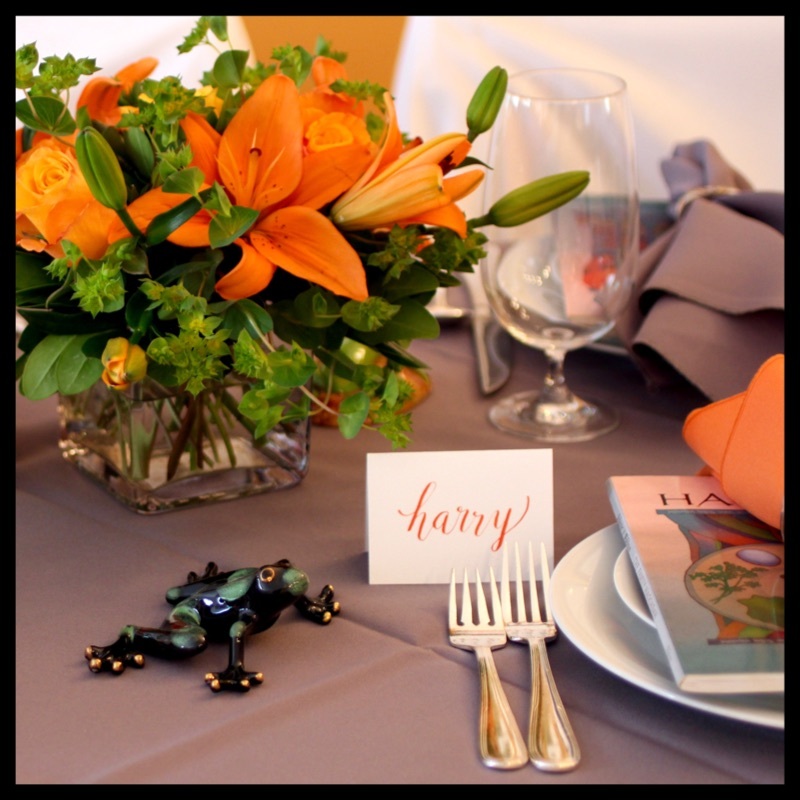 The vibrancy and beauty of the Table reflect our gratitude to God. 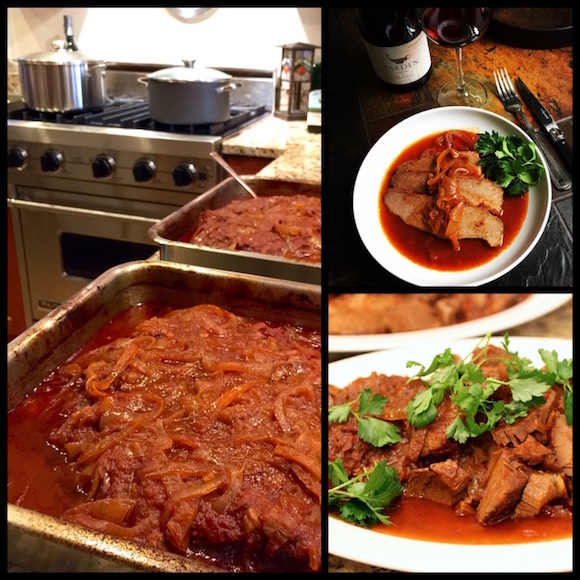 The challenge with serving Passover dinner, to which every Jewish mother can attest, is serving an elegant delicious hot meal without stepping a foot in the kitchen for an hour and a half (or more) right before it is served. With prior planning, cooking dinner for 40 can be stress-free (almost). Two days before Passover, the chicken soup is made, strained, and refrigerated. Carrots and celery are sautéed. One day before, the brisket is cooked for 6 hours, cooled, then refrigerated. 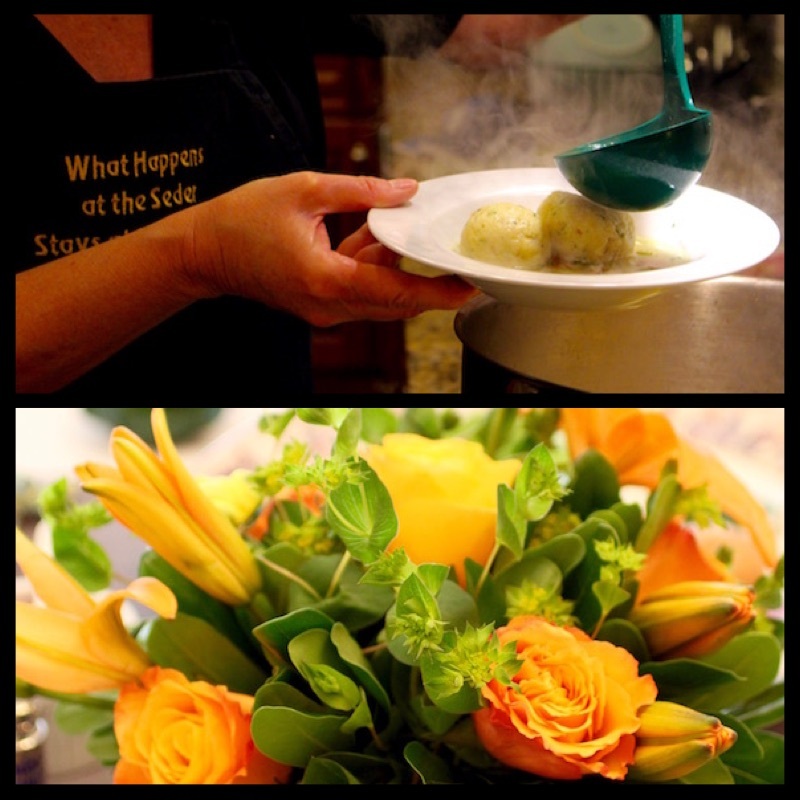 One hundred matzoh balls are rolled, cooked, and refrigerated. Brussels sprouts are trimmed and bagged. Eggs are hard boiled. Shank bones are roasted. The morning of Passover the haroset is prepared and the tables are set. Brisket is sliced and put in pans to be reheated. Potatoes are cooked and formed into little cakes, ready to roast later on. Lastly, the chicken dish is cooked, the sauce is made. The Seder begins at sundown. My brother, Don, is the leader. Everyone participates. We read from the haggadah. We recite the blessings. We tell the story of the Exodus from Egypt. We sing. We drink. We eat. We laugh. We get teary-eyed. Our story is being retold all over the world on this day. As we retell the story of the Jew’s Exodus from Egypt…the pre-sliced brisket and chicken are reheating in the oven at 300°F and the chicken soup is barely simmering on the stovetop. 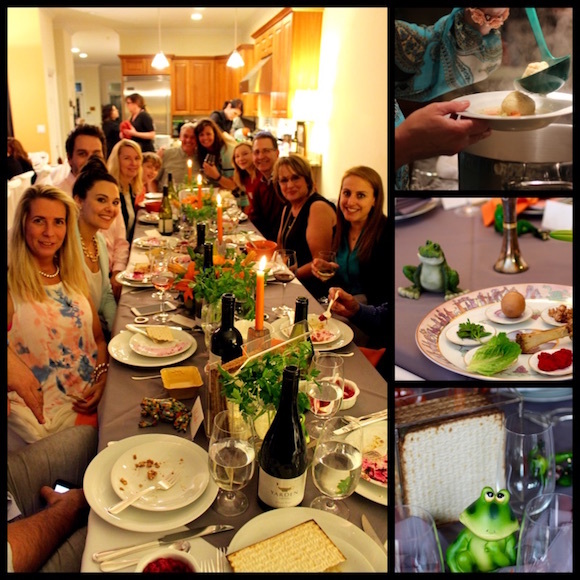 Guests have dipped bitter herbs in salt water to taste the bitterness of slavery and the tears of our ancestors…and have enjoyed their Hillel sandwiches of matzoh, maror, and haroset but when it is time to eat everyone is ravenous! Haroset is a mixture of chopped apples, walnuts, wine, cinnamon, and a touch of honey. Its texture and color remind us of the bricks and mortar Jewish slaves had to make when we built cities for Pharaoh. Matzoh is the symbolic bread of our Exodus from Egypt. It is made without leaven or yeast so it cannot rise. Our ancestors had to escape Egypt so quickly, there was not time to wait for bread to rise, so bread was removed from the ovens while still flat. Millenniums ago, Rabbi Hillel taught us to eat maror and haroset between two pieces of matzoh to simultaneously taste the bread of affliction, the bitterness of slavery, and the sweetness of freedom. Time to eat! Tonight we can lean back while we enjoy every delicious bite of our Passover meal. This is because we are free. So now, let’s enjoy our meal and the sweet taste of freedom. First, crank up the soup to high heat, add the matzoh balls. 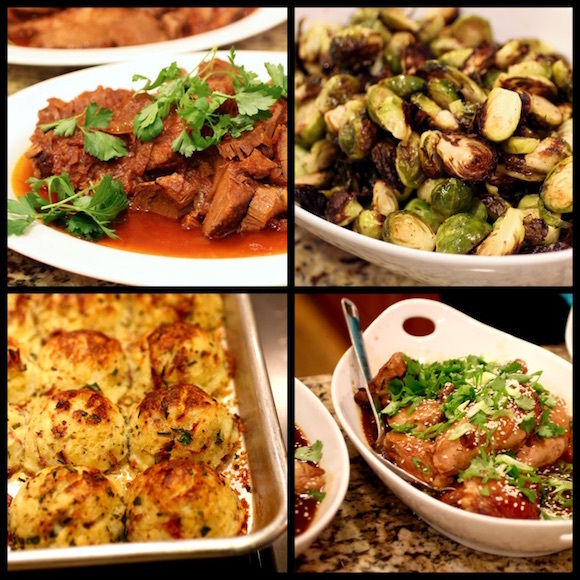 Take hot brisket and chicken out of the oven but keep covered with foil, turn up the oven heat to 400°F convection and put in Brussels sprouts and potato cakes. The first course is ready to go. Haroset, matzoh, and horseradish are already on the table. 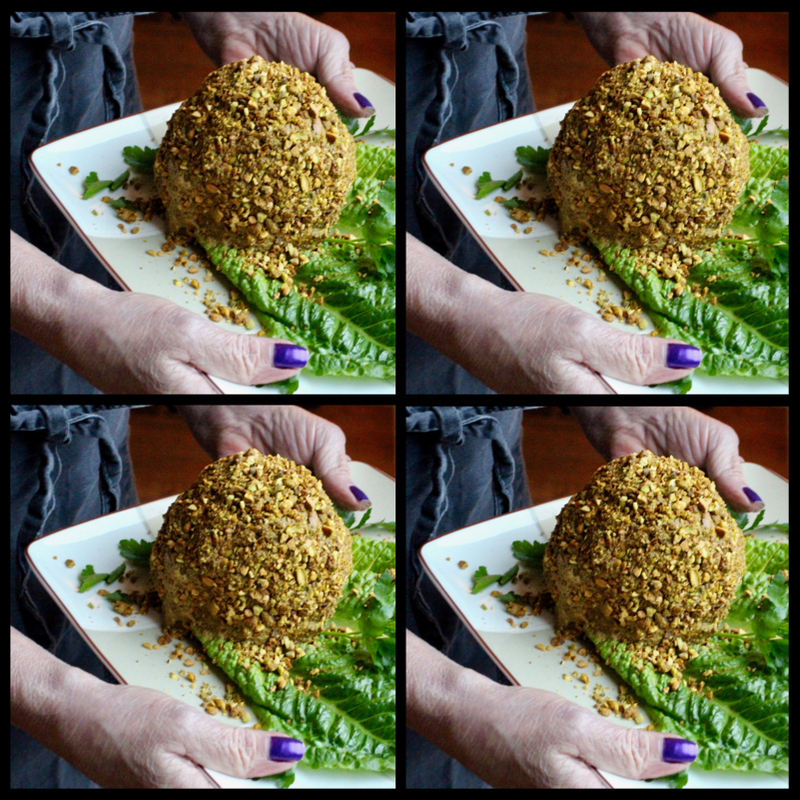 Time to pass hard boiled eggs, gefilte fish, beet salad, and chopped liver with pistachio nuts. 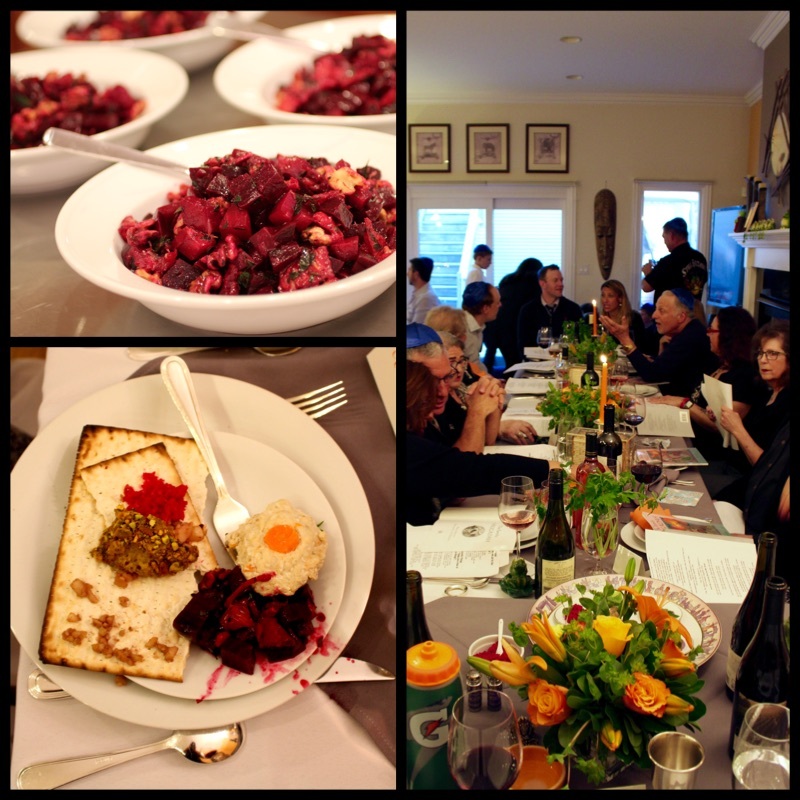 While guest are enjoying the first course, line up the soup bowls and place carrots, celery, parsley and dill in the bowls. We are ready for course number two when the matzoh balls are heated through. 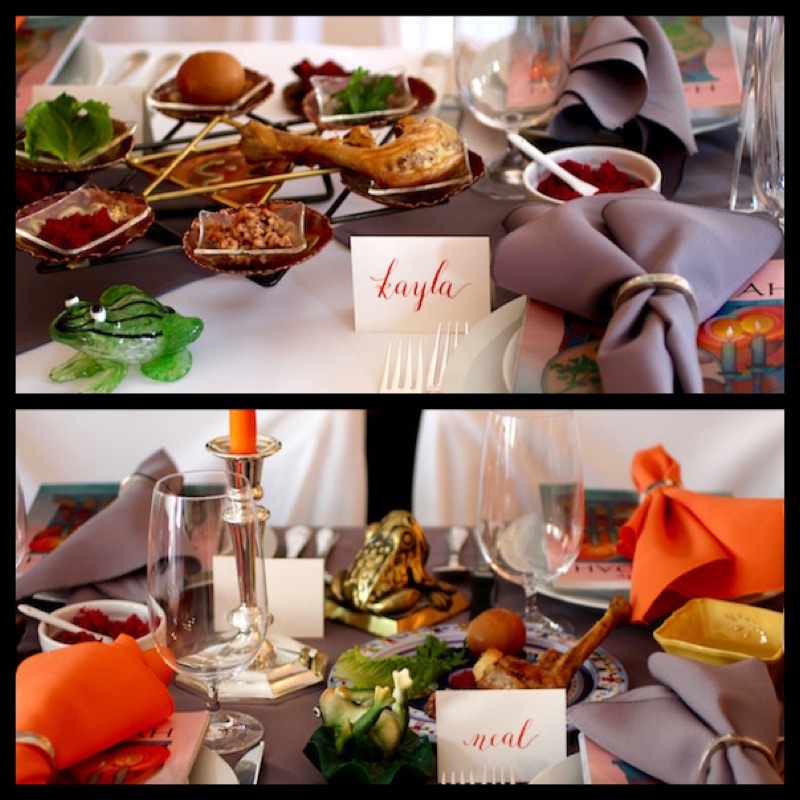 Clear the first course plates, leaving the dinner plate at each setting. 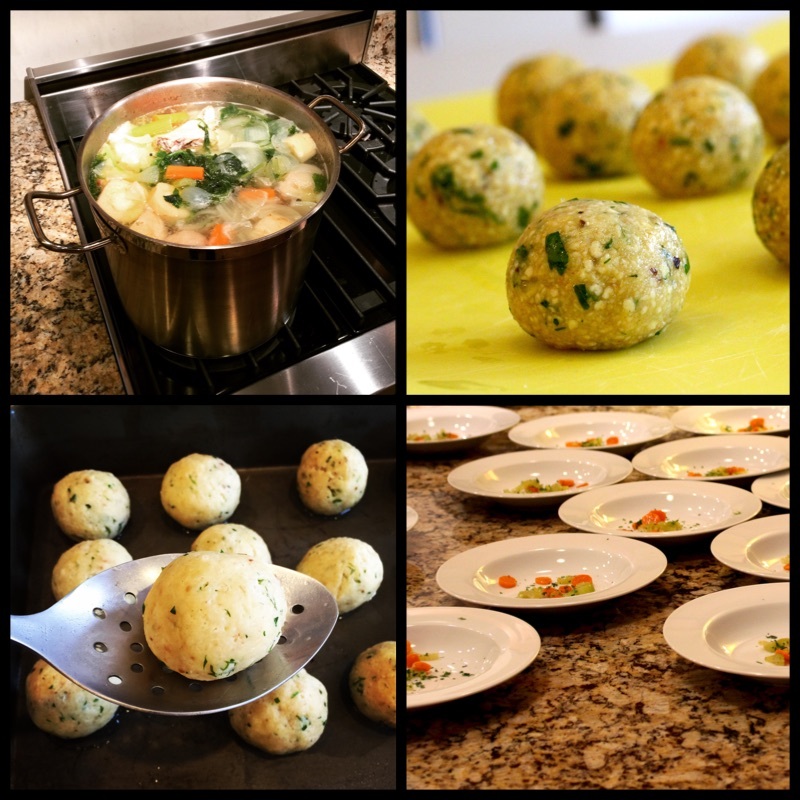 Ladle soup and matzoh balls into the bowls, having helpers serve the soup. About 30 minutes in…the Brussels sprouts are roasted and the potatoes beginning to brown. Plate the brisket on large platters with sauce and garnish with parsley. Plate the chicken in large serving bowls with sauce and garnish with scallions, cilantro, and sesame seeds. Put roasted Brussels sprouts in bowls and drizzle with balsamic syrup. Plate potato horseradish cakes on platters. Meanwhile have helpers clear the soup bowls. Then pass the main courses, family style. Dessert is easy because it is served buffet style. Place all the goodies on nice platters in another room, with hot coffee and tea. 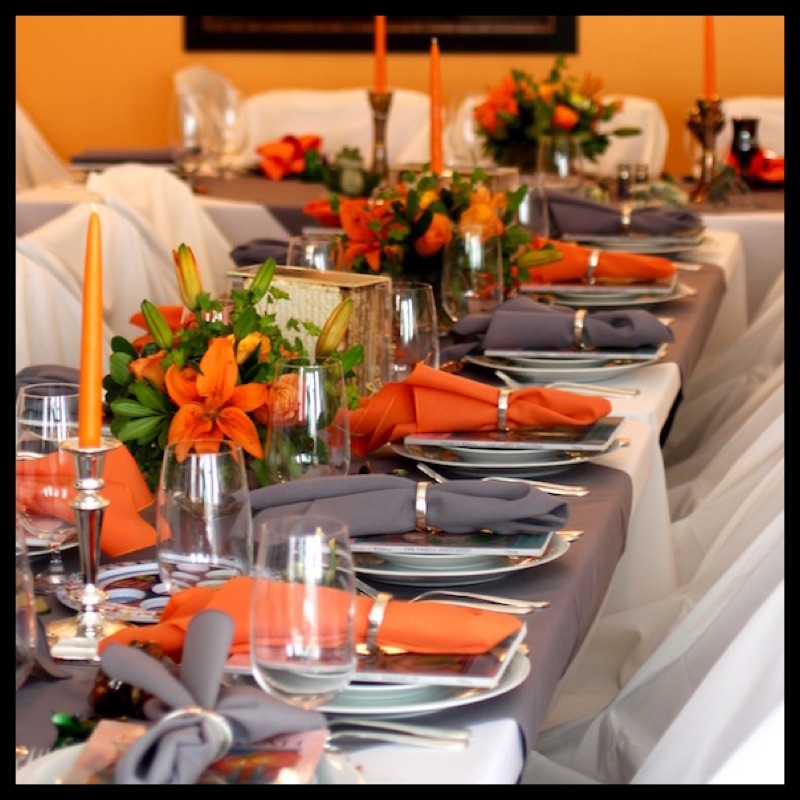 After dinner, helpers can clear the dinner plates and guests help themselves to dessert and coffee. My brother will hide the afikomen for the kids to find after dinner.